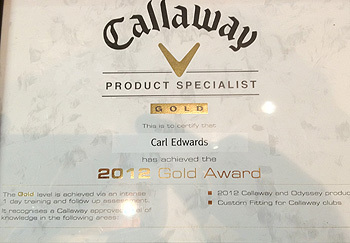 A warm welcome to the Carl Edwards Golf website, I hope you enjoy the website, and find it informative and interesting. My business is built on providing high quality customer service whilst at the same time providing professional and honest advice. 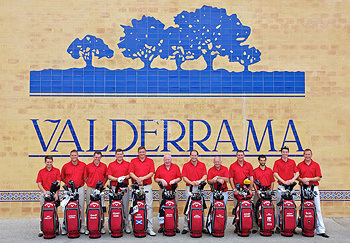 You will find a great range of brands at fantastic value for money from a Class AA PGA Golf Professional. Whether you are interested in expert tuition, purchasing suitable golf equipment from my comprehensive shop or are visitors to Birchwood Golf Club, then I am sure I will be able to help your game. From a young age golf has been my life and passion. I strive to provide my members with the best possible service, whether you enter the Birchwood Pro Shop or speak to me over the phone, you will feel the energy and passion I have for the game. This may be in a half hour golf lesson, a custom fit session for a new set of clubs or a general chat about golf. Either way this will leave you feeling energised and positive about your own game. You can also find out what facilities we have here at Birchwood Golf Club to enhance your game. New for 2013 at Carl Edwards Golf is the Chesire Golf Performance Studio. An indoor golfing facility that is unrivalled in the area. With the ability to play 1 of 15 Championship golf courses indoors, practice on the driving range, have an indoor video lesson or custom fit session, the Cheshire Golf Performance Studio is your one stop for the ultimate golfing experience. Check out the Performance Studio Page for more details. I am proud to be a Callaway Staff Brand Ambassador, playing and wearing the latest technology, as well as being a Callaway Opti Fit Centre and Callaway Gold Fitting Account Specialist. 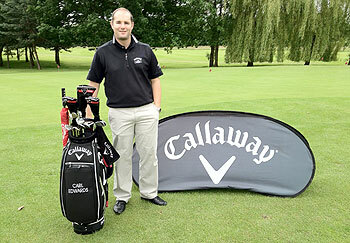 "Carl is an extremely valuable asset to Birchwood Golf club and have no doubt will prove to be in the years ahead. I have found Carl to be the model Golf Professional anyone would want at their golf club providing an honest, reliable, conscientious and courteous service that is appreciated throughout the Birchwood Golf Club membership and visitors/Societies." "I have been past Captain of two separate golf clubs and played the game of golf for 50 years. In Carl Edwards who I have known for over 5 years, I have found one of the most honest and dedicated people I have had the pleasure of knowing. His approach to his professional duties and dealing with people are both courteous and welcoming and his ability to run his business affairs are efficient and first class in every way." "Carl is a true club professional; his welcoming, friendly approach to members and visitors alike is a real positive for our club. His shop stocks a wide range of the latest equipment to suit all budgets and needs and he is always happy to give advice and help to anyone who might ask. His enthusiasm is clearly evident from the various competitions and outings he arranges, including weekend trips and club exchange days. Carl is without doubt a major asset to Birchwood G.C." Book your next golfing trip with me now. Get a Free Dozen Golf Balls with every golf trip you book through my link to golfbreaks.com on the side of the page, you will get the same prices as their website. Whether its a 1 night stay in the UK or a week away abroad, click on the link below and book your next trip with me today.